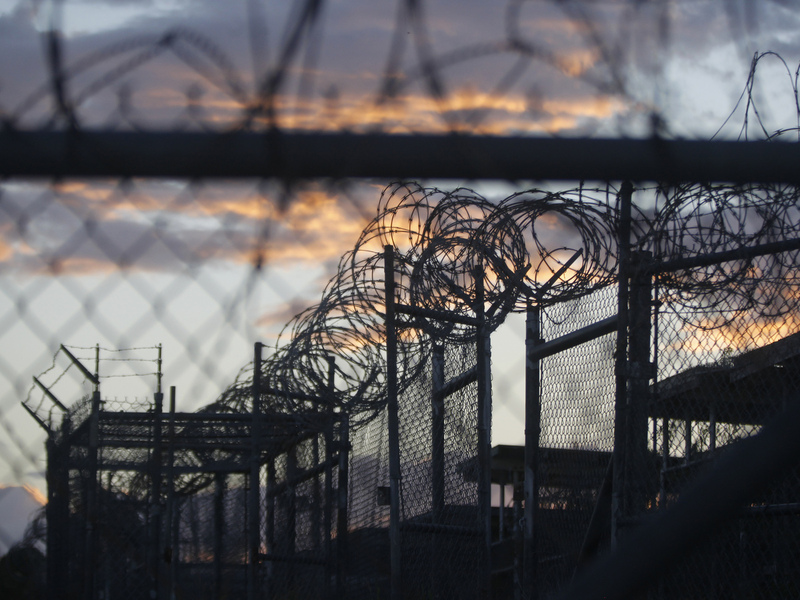 6 Yemeni Prisoners Released From Gitmo : The Two-Way It is the first such release in five months from the U.S. prison at Guantanamo Bay, Cuba, and the first to be approved by Defense Secretary Ash Carter. Dawn at the now closed Camp X-Ray, which was used as the first detention facility for al-Qaida and Taliban militants who were captured after the Sept. 11 attacks at Guantanamo Bay Naval Base, Cuba. Six Yemenis who were prisoners at the detention center at Guantanamo Bay, Cuba, have arrived in Oman after their release from the facility — the first in five months and the first to be approved by Defense Secretary Ash Carter. "The six men boarded a flight Friday from the U.S. facility in Cuba, and their transfer reduced Guantanamo's population to 116. President Obama has now transferred more than half the 242 detainees who were at Guantanamo when he was sworn into office in 2009 after campaigning to close it. "The six include Emad Abdullah Hassan, who has been on hunger strikes since 2007 in protest of his confinement without charge since 2002. The U.S. accuses him of being one of many bodyguards to al-Qaida leader Osama bin Laden and of being part of a group planning to attack NATO and American troops after the 2001 invasion of Afghanistan." "Oman's state news agency ONA reported that six Yemenis had arrived in Muscat for "temporary residency" under the direction of Sultan Qaboos, the veteran head of state who has driven Oman's policy of regional mediation. "'This step came at the request of the U.S. government to help settle the cases of those held at this prison (Guantanamo) and in consideration of their humanitarian conditions,' the agency quoted an Omani Foreign Ministry source as saying."